1917 – September 4, 2018 – Greg Owens of Liberty Tabletop joins CSC Talk Radio as a sponsor. 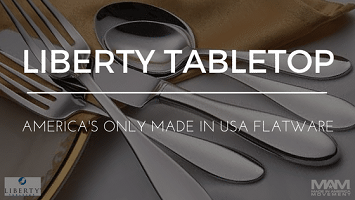 Liberty Tabletop is one of our ALL AMERICAN MARKET companies. Greg’s office was built when Abraham Linclon was the President! Country of Origin labeling is important for ALL products. The Berry Amendment and the Buy American Act. “E” commerce saves the day!